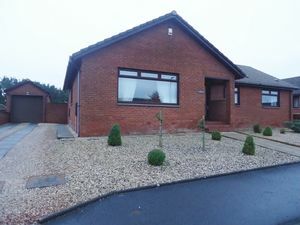 CLOSING DATE SET MONDAY 11TH FEBRUARY @ 5PM Beautifully presented modern detached bungalow in quiet sought after location in the village of Clackmannan. Clackmannan is small historical village with a variety of local amenities to suit every day needs including a a variety of local shops, library and primary school. 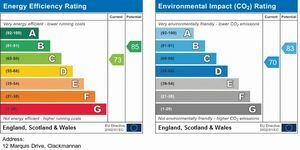 Clackmannan is also close to the road network and rail network providing easy access throughout the Wee County and onto the motorways for the larger cities of Stirling, Glasgow, Edinburgh and Perth. 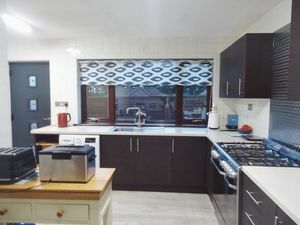 The property Comprises; welcoming entrance hallway, spacious and bright lounge, open plan dining room, modern fitted kitchen, three double bedrooms, contemporary four-piece family bathroom and separate w.c. Complimenting the property are private front and fully enclosed rear gardens. The property also benefits from a driveway providing parking for approximately three vehicles leading to a single detached garage. 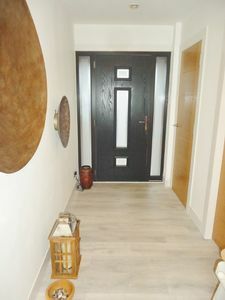 Welcoming L-shaped hallway with light grey oak effect laminate flooring, four spot lights and three double power points. Smoke detector, telephone point and double radiator. 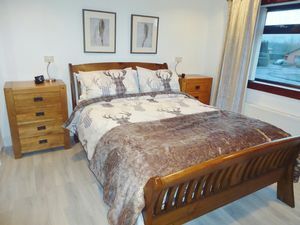 Access to all accommodation and loft. Spacious and bright lounge with solid hardwood flooring, coving and nine spot lights. 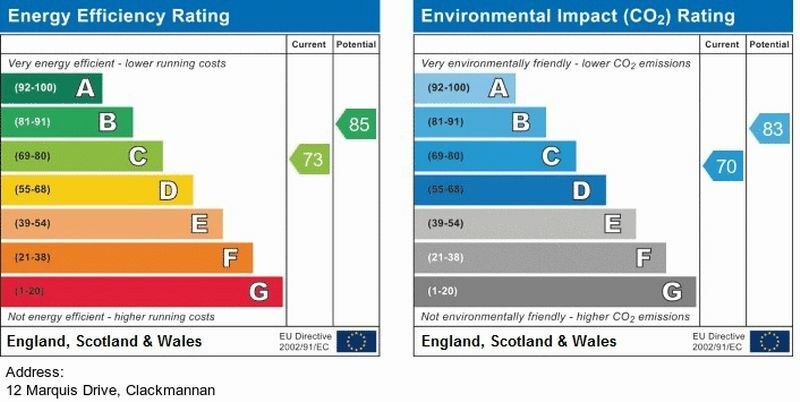 Double radiator, four double power points and TV point. Open plan to dining room. Large double glazed window overlooking the front of the property with open aspects. 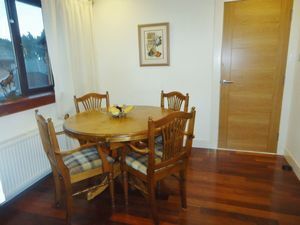 Open plan dining room with solid hardwood flooring, coving, double radiator, five spot lights and two double power points. Access to kitchen. Double glazed window overlooking the side of the property. Stylish fitted kitchen with full range of dark wood effect wall and base units. Contrasting light work surfaces incorporating a stainless steel one bowl sink with drainer and mixer tap. Stainless steel, five burner range cooker with stainless steel splashback panel. 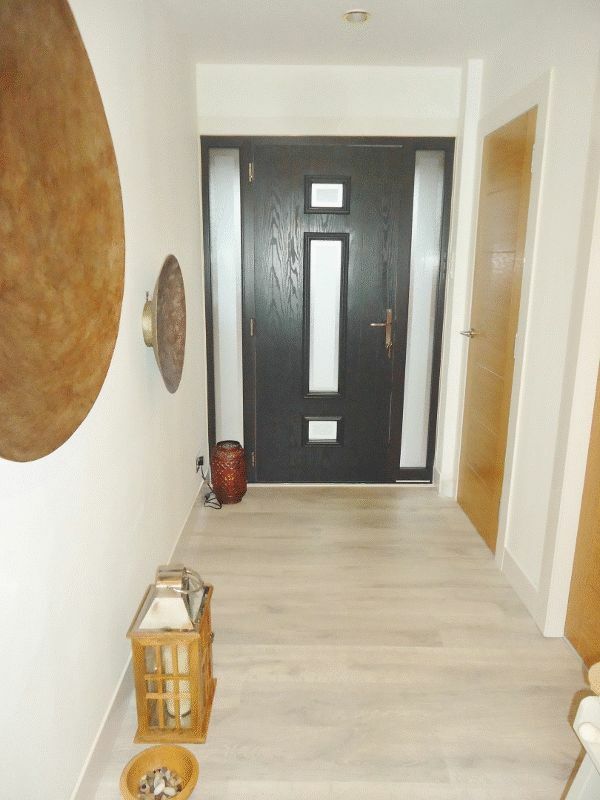 Light grey wood effect laminate flooring, double radiator and ample power points. Fully tiled, two LED strip lights and space for automatic washing machine. Access to utility room. Grey composite door with opaque glazing panels leading to rear garden. Double glazed window overlooking the rear of the property. 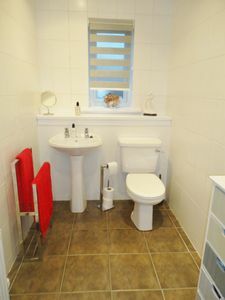 Utility room which houses the boiler, with laminate flooring, one spotlight and ample power points. Space for fridge freezer. Small double glazed window overlooking the rear of the property. 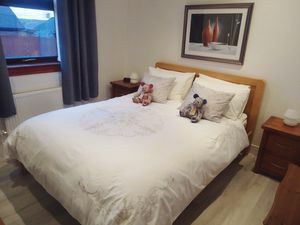 Spacious master bedroom with laminate flooring, double radiator, five spot lights, three double power points and TV point. Built-in double wardrobe with sliding doors, hanging rail and shelving. Double glazed window overlooking the front of the property. 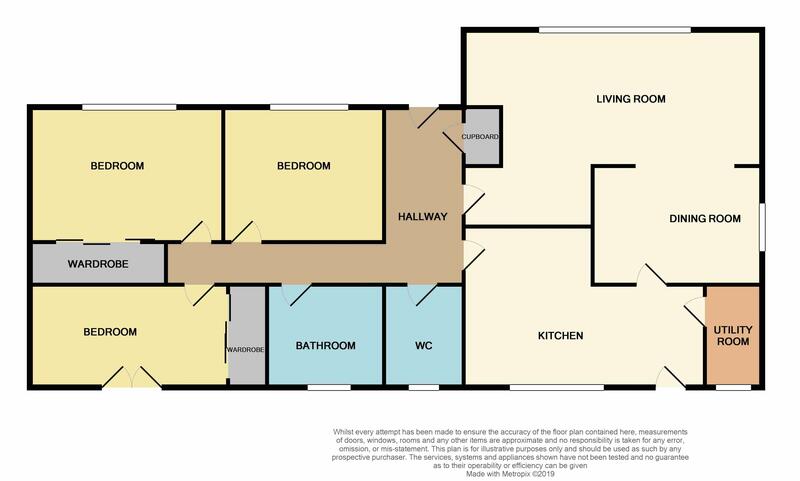 Second double bedroom with laminate flooring, double radiator, three spot lights and three double power points. Built-in double wardrobe with sliding doors, hanging rail and shelving. 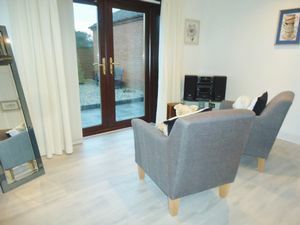 Double glazed french doors gives direct access to rear garden. 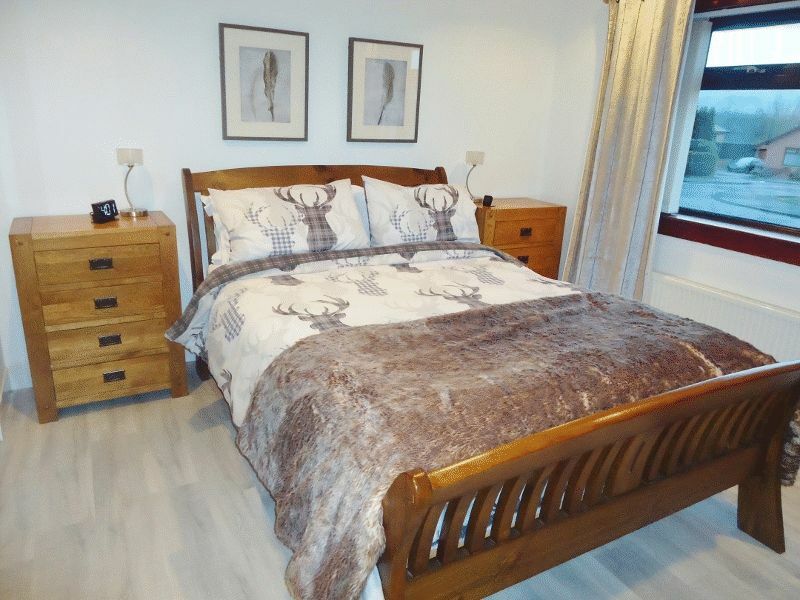 Third double bedroom with laminate flooring, double radiator, three spot lights and three double power points. Ample room for free-standing furniture. Double glazed window overlooking the front of the property. 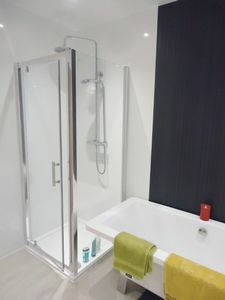 Contemporary four-piece bathroom comprising of a white w.c., sink unit, bath with shower fitment off mixer taps and corner shower enclosure with waterfall shower from gas mains. Wet wall panelling, four spot lights and laminate flooring. 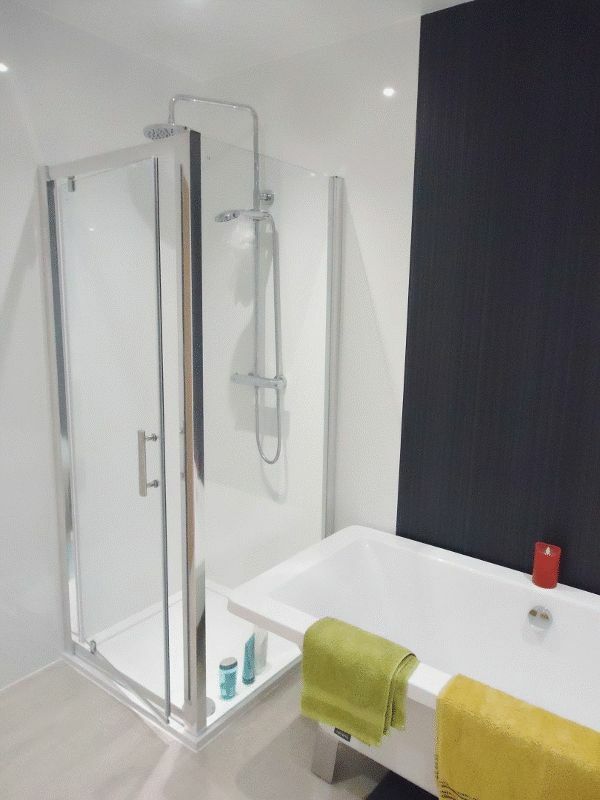 White chrome heated towel rail, extractor fan and vanity unit under sink. Opaque double glazed window to the rear of the property. 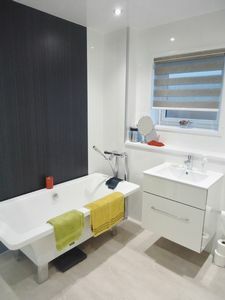 Separate modern w.c. comprising of a white w.c. and sink unit. Fully tiled walls and tiled flooring. Three spot lights and double radiator. Opaque double glazed window to the rear of the property. Included in the sale of the property are all floor coverings, curtain poles, blinds and light fitments. Stainless steel five burner range cooker. 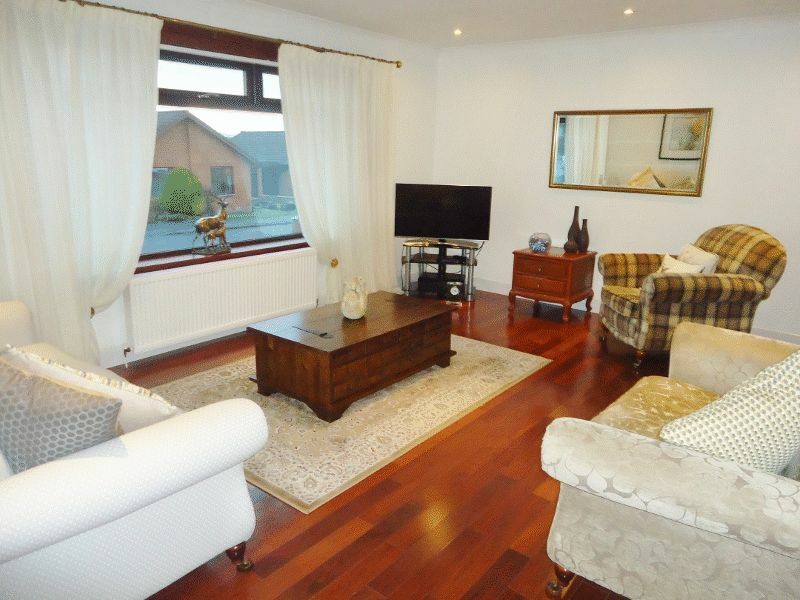 This property benefits from gas central heating system and is fully double glazed throughout. Well maintained private front garden is laid with stone chips with a few plants and shrubs. 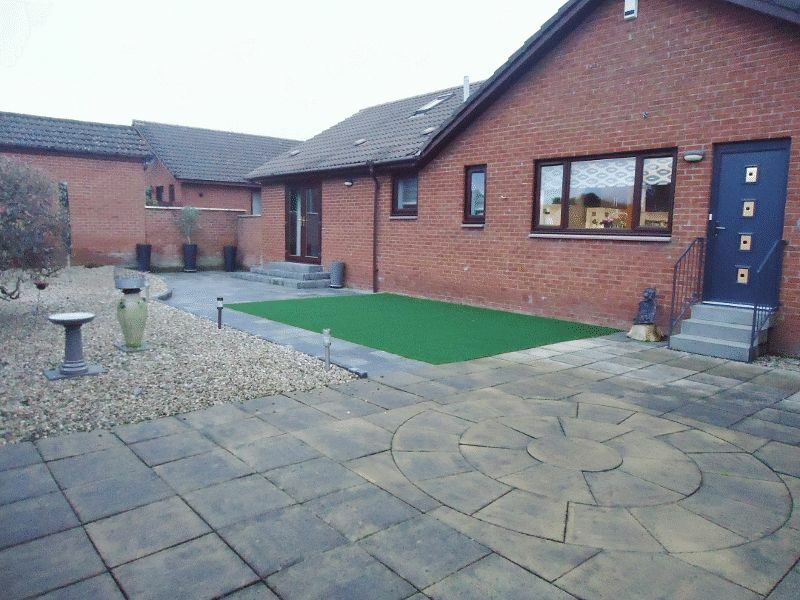 Paved pathway leading to front entrance door and round the side of the property to rear garden. Fully enclosed private, south facing rear garden mainly laid with decorative paving slabs with stone chips and artificial grass for ease of maintenance. Driveway to the side of the property providing off-street parking for approximately three/four vehicles leading to detached single garage with electric up and over door. On entering Clackmannan from Alloa via the dual carriageway, proceed past Devonway Estate on the left and follow the main road (Alloa Road B910) round. Continue through Clackmannan and take the fifth turning on the right hand side into Duke Street, then first left then first right still in Duke Street. Turn right into Marquis Drive and No. 12 is on the left hand side and is clearly signposted.